At the UK scoliosis clinic we believe in the value of scoliosis screening, since scoliosis which is identified early is much easier to treat. For this reason, we always offer free, professional screening and consultation – now available anywhere in the world via Skype. 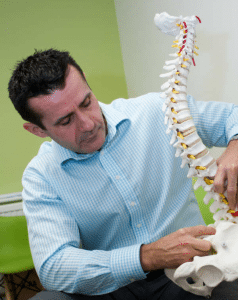 Your free scoliosis consultation is an ideal opportunity to get a definitive answer on whether you are suffering with scoliosis and is also the first step to taking proactive action to treat scoliosis non-surgically. In instances where any symptoms are not found to be linked to Scoliosis we are often able to uncover the true cause and can usually provide treatment through either our Chiropractic Clinic, or our Sports therapy clinic. Your free consultation is without obligation and you do not have to book any treatment – however, if you are interested in the non-surgical scoliosis treatment we offer we’ll be happy to discuss some of the options we have available. To book your free skype consultation please call the clinic on 01245 358742 or use our contact form here.